Typically a chod rig hook link is 2 ? 3 inches long and by using the sleeve it prevents the hook from coming into contact with the lead. The soft, flexible silicone sleeve acts as a buffer-like shock absorber when playing fish on a very short hook link. Under pressure the sleeve will 'concertina' absorbing the lunges of the fish and helping to prevent breakages or hook pulls. The flexible silicone tube is mounted onto a soft sleeve which houses the lead retaining clip and provides a neat, streamlined system. The silicone tube can be shortened if required, as can the clip retaining sleeve if the leader is tied directly to the lead loop. 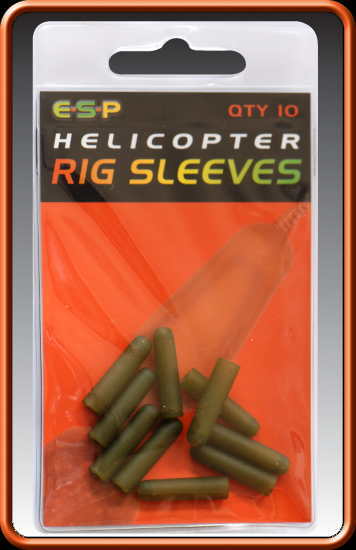 Ideal for assembling Helicopter Rigs and Chod Rigs on Leadcore Leaders. They can also be cut down to fit directly over the wire loops on leads. 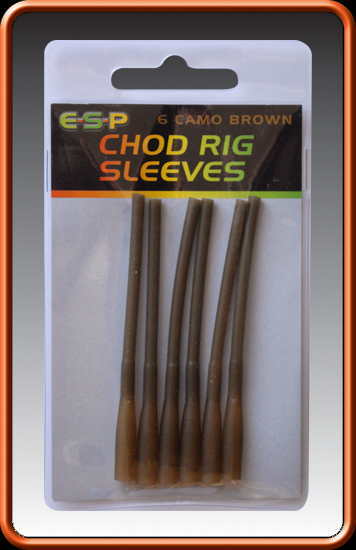 ESP Anti-Tangle Rig Sleeves are 20mm in length with a streamlined shape that offers knot protection, reduces tangles and helps lay the hooklink out away from the lead. 40mm length perfect for streamlining terminal tackle and reducing tangles. Semi stiff compound provides the optimum balance of rigidity and flexibility giving you maximum rig control. Covert Hook Aligners have been developed by Gardner to improve and enhance the effectiveness of many rigs without being large and bulky. These hook aligners also ensure that the hook twists effectively which ever direction the fish approaches the hookbait. Mini Anti Tangle Sleeves are ideal for shorter hooklinks.Semi stiff compound will hold position on size 8 swivels and is flexible enough not to rip when stretched. The brand new Covert Pop up Hook Aligners have been developed as an extremely easy way of creating ultra effective ?D? style rigs by combining a preformed D with one of our superb Hook Aligners. Pop Up Hook Aligners offer an easy solution to tying tricky D-Rigs and create better hook holds by forcing the hook to twist aggressively. Useful for streamlining terminal connections (tidying up swivels, links, leads, etc. ), reducing tangles, protecting knots, as a sleeve joining different sized tubing and a multitude of other uses. They are designed to fit Inline Leads, ideal to replace any inline insert that has been damaged due to snags/gravel or heavy use. Mixed colours (5 brown / 5 Green per pack). This purposely designed Heli/Chod system simplifies setting up Heli/Chod rigs. The unique tapered body coupled with tapered beads ensure that the swivel is trapped between the beads when casting ensuring your rig is tangle free. 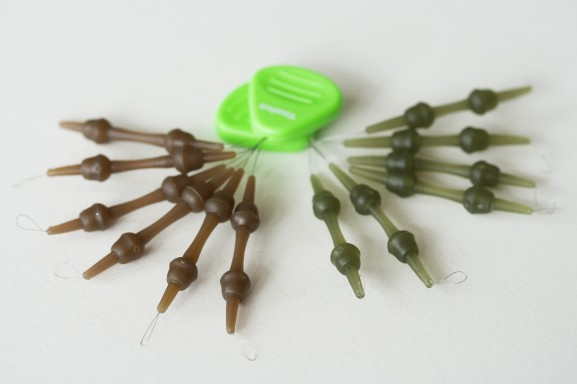 Fast and efficient, superb for heli/naked chod setups, with fish safety in mind the beads will slide off easily.